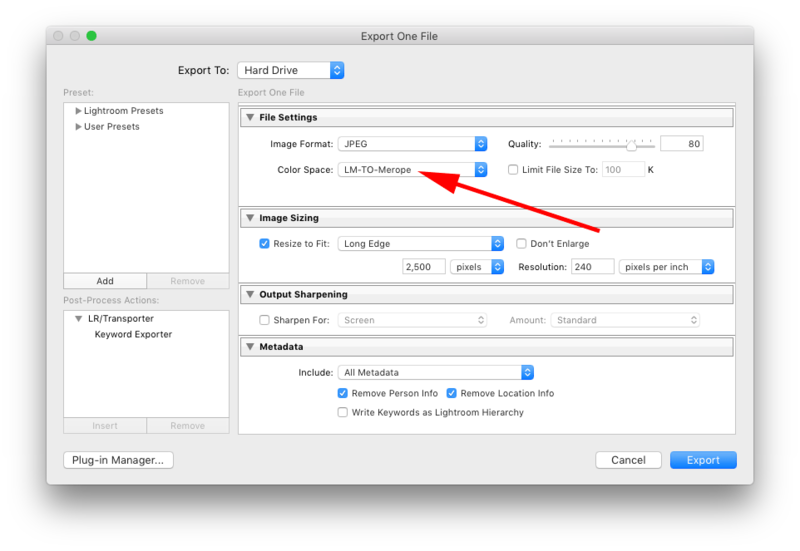 Lutify.me | LUTs from Adobe Photoshop Lightroom do not appear in the exported image. What should I do? LUTs from Adobe Photoshop Lightroom do not appear in the exported image. What should I do? This document refers to version 7.2 of Adobe Lightroom and earlier and LUTs implemented as ICC profiles only. If you’re using the newer .xmp profiles integration, please disregard the information in this document. LUTs in Adobe Photoshop Lightroom are applied as ICC profiles attached to the exported image. As such, your image viewing software must support the use of ICC profiles to be able to see the attached LUT to the image and hence your color grade from Adobe Photoshop Lightroom. If you’re sure your software supports the use of ICC profile but you are still unable to see your grade from Adobe Photoshop Lightroom, make sure the image was exported from Adobe Photoshop Lightroom with the appropriate ICC profile attached to it under Color Space setting in the File Settings section of the Export window. Your Color Space in export settings must match the LUT applied to the image.